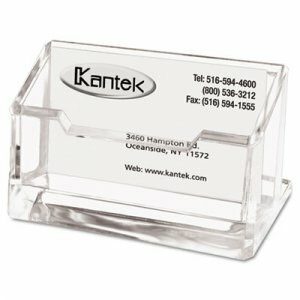 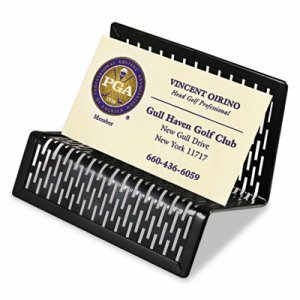 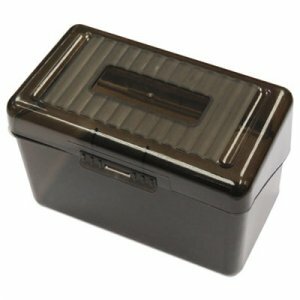 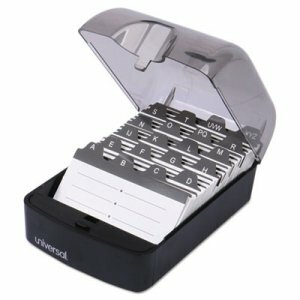 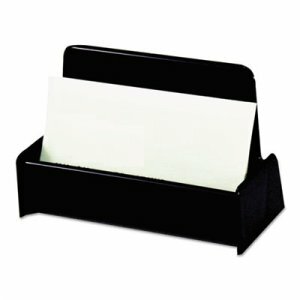 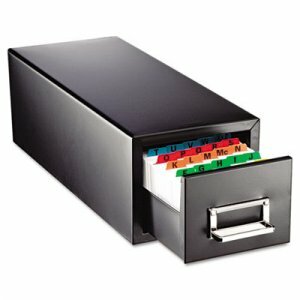 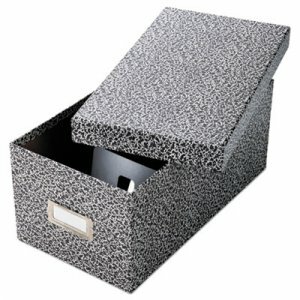 Classic plastic index card box to store, sort and organize index cards. 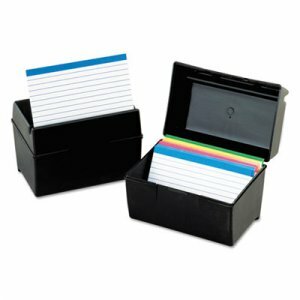 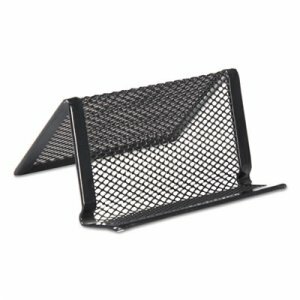 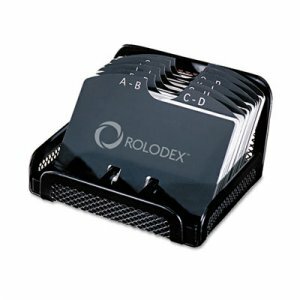 Handy flip-up hinged box with snap closure to keep your notes secure. 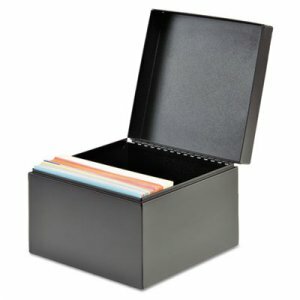 Also consider to store photos, invitations and knick-knacks.